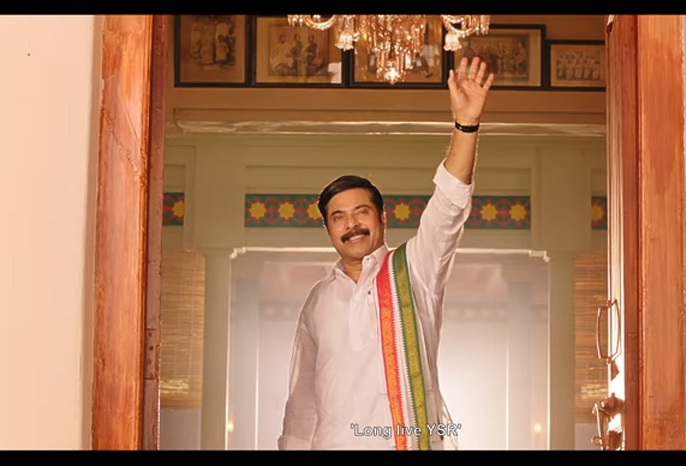 The powerful teaser sees Mammootty dressed in white attire as a politician. The same way YSR used to wear. In the 54 second teaser, the actor says, “I want to know, I want to listen, I I want to visit every house beyond Cuddapah. I feel like walking along with the people. I wish to listen to their heartbeats.” There is no doubt how Mammootty has stepped into the shoes of the politician with élan. The Yatra teaser is sure to blow your mind. What do you have to say about the Yatra teaser? Share your views in the comments section below. The film will see Mammootty as YSR / YS Rajasekhara Reddy. Directed by Mahi V Raghav and music by K, the film is being produced by Vijay Chilla and Shashi Devireddy under 70MM Entertainments banner. Yatra movie also features Rao Ramesh, Anasuya, Posani Krishna Murali, Vinod Kumar and Sachin Khedekar in supporting roles. With such an amazing teaser, let’s wait and watch to know what’s in the store for the audience. The teaser has raised high expectations among the movie buffs. Besides Yatra, Mammootty will be seen Kunjali Marakkar IV. The film is being directed by Santosh Sivan.